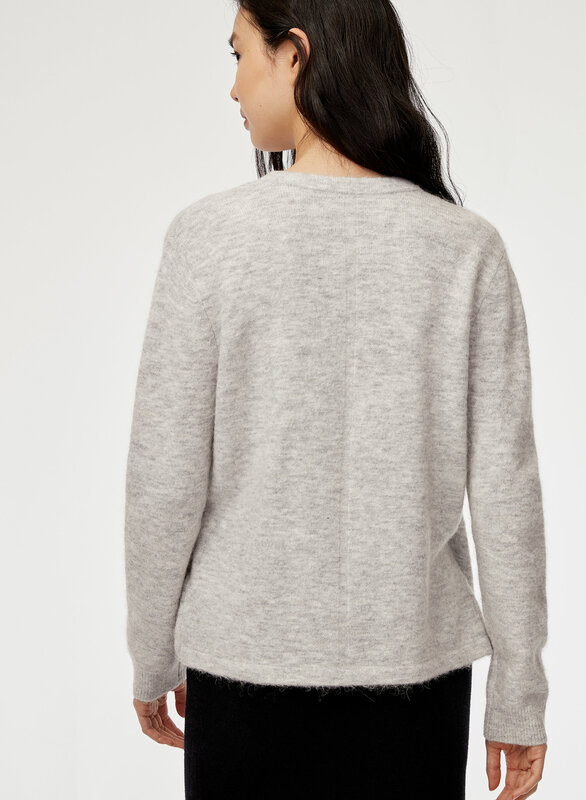 Layer it over a turtleneck or wear it solo, the Elizabeth is made with an alpaca-wool blend from Italy that's lightweight but warm and textural. With interior buttons for added security, you can dress it up or down no matter the season. This sweater fits true to size. I’m typically a small at Aritzia, and the small was a good fit for me. I was afraid the sweater would be itchy, but it’s very soft. The tan color is beautiful and the style of the sweater is so cute! I did size down and I am glad that I did. I usually wear a medium in sweaters and I got a size XS. Comfortable , pretty and easy to wear. Fits a bit large so go down a size. Have it in two colours. 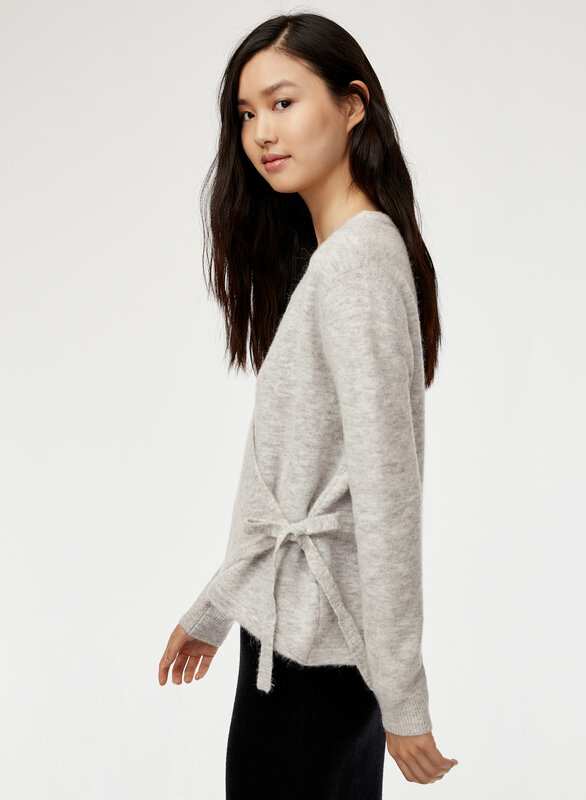 I love this sweater! It's not too low, and perfect to wear just on it's own. I did size down one size because I wanted it to be slightly more fitted. Even then, there's still a bit of room, but just enough so it's not body hugging tight.